What is "Somewhere in the Middle?" I am excited to announce that I will be joining the TRIBE Family Channel on BlogTalkRadio to host "Somewhere in the Middle." We'll spend two hours each month examining where spirit meets life with interesting people from all walks of life. "Somewhere in the Middle" debuts on Friday, June 9, at 8 pm Eastern time. My first guest will be Bruce George. Bruce George is a man of many talents. He is a visionary, executive producer, writer, poet, activist, and entrepreneur. Founder of the Genius is Common Movement, Co-founder of HBO’s Def Poetry Jam, and a Peabody Award winner, Bruce is a creative force in the print world serving as the Founder and Managing Editor of “The Bandana Republic, an Anthology of Poetry & Prose by Gang Members & Their Affiliates.” His keen sense of activism has led to him supporting and founding organizations that foster and uplift people of all walks of life. Always dedicated to the advancement of creativity and education of young people, Bruce conducts creative writing and performance poetry workshops for colleges, universities, and other organizations in the U.S. and around the world. A serial entrepreneur, George loves to share his knowledge by mentoring business owners and serving as Executive Consultant for various organizations. I can't wait for you to hear what Bruce George has to say. He'll also take questions from callers. 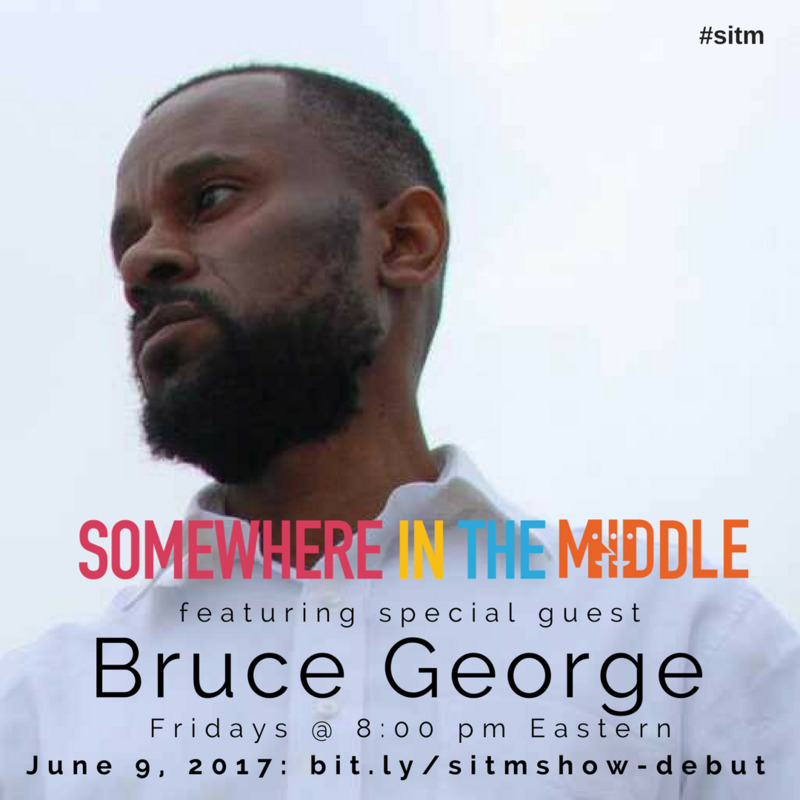 Join Bruce and me at 8 pm on Friday, June 9, on "Somewhere in the Middle" http://bit.ly/sitmshow-debut.